Cakes are one of the most served desserts around the globe. However, they are always a problem for vegetarians, as majority of them contains eggs. This recipe will surely help out all the vegetarians to enjoy this lovely dessert without any fuss. Sieve flour a couple of times and keep it aside. Add plain yogurt (curd) and sugar in a bowl, and mix them together until the sugar dissolves completely. Add baking powder and baking soda to the mixture, and stir them together properly until it mixes up completely. Leave the mixture aside for at least five minutes. You will notice that the bubbles are starting to appear. Now add cooking oil and vanilla essence in the mixture and stir it well. Add flour slowly in the mixture and continue stirring it. Beat it well until it becomes thick and creamy. Now preheat the oven to 200 degrees C for around 10 minutes. Meanwhile, grease a butter paper and spread it over the pan. Bake it in a preheated oven at 200 degrees C for around 10 minutes, and then reduce the temperature to 180 degrees C and continue baking it for another 30 minutes. Take out the cake, and insert a toothpick in the centre of the cake, if it comes out clean, your cake is ready. 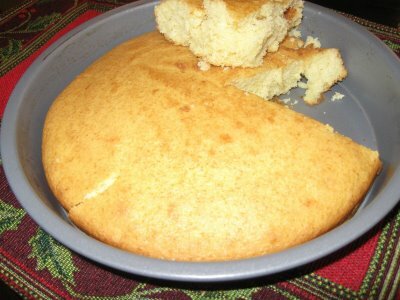 Brush the top of the cake with the milk 10 minutes before the ending time. Allow the cake to cool down, and then remove the butter paper from the back. Serve as you need.